The year was 1933. Filmmaker Carl Denham had captured the stupendous monster he had dubbed “King” Kong. But that was only the beginning. 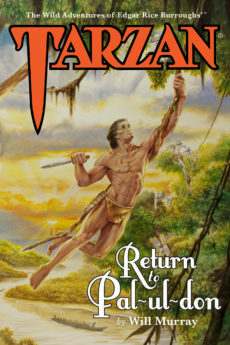 Denham was determined to get the dethroned ruler of Skull Mountain Island back to America, and cash in on the greatest wild animal capture in human history. The saga of how Kong was taken in chains from his Indian Ocean kingdom to New York City has never been told. In order for the cargo freighter Wanderer to make the long transit to the Atlantic, she is forced to circumnavigate Africa—jungle home of the legendary Tarzan of the Apes! Here is the long-anticipated clash between the Monarch of Skull Island and Lord of the Jungle. 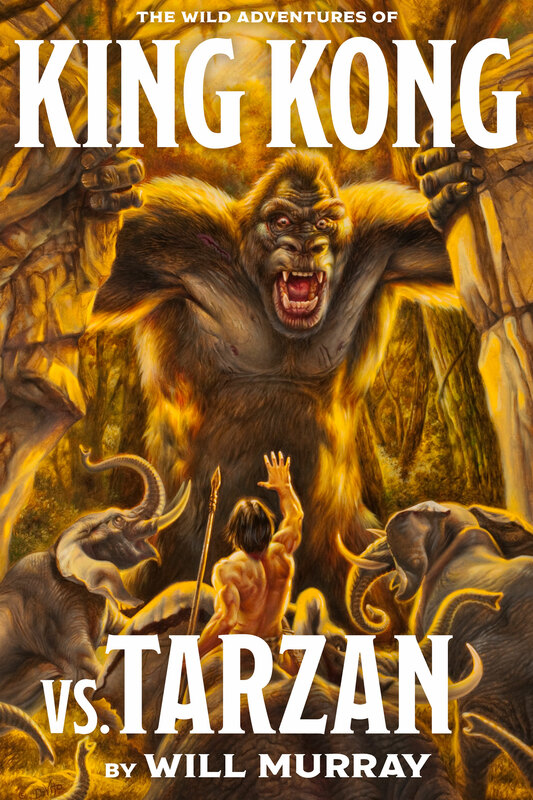 When the largest anthropoid who ever lived encounters the savage superman raised by the great apes, will they make peace—or war?